Photo: Caleb Gorton House, ca. 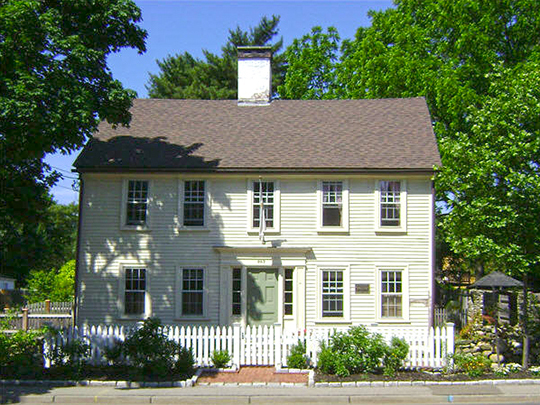 1784, 987 Greenwich Avenue, Warwick, RI. Listed on the National Register of Historic Places in 1983. Photographed by User:Marcbela (own work), 2008, [cc0-by-1.0 (creativecommons.org/publicdomain/zero/1.0/deed.en], via Wikimedia Commons, accessed May, 2014. Kent County, was formed in 1750 from part of Providence County. In 1842, county governments were dissolved in Rhode Island. Today the counties serve as historical context and administrative boundaries for the judicial system.